In the days when Christ was in the flesh, HE OFFERED PRAYERS AND SUPPLICATIONS WITH LOUD CRIES AND TEARS TO THE ONE WHO WAS ABLE TO SAVE HIM FROM DEATH, AND HE WAS HEARD BECAUSE OF HIS REVERENCE. 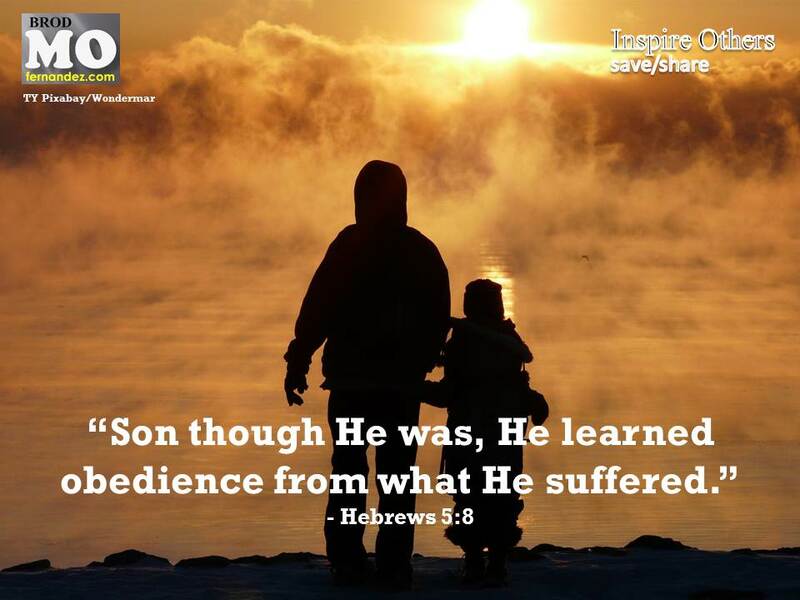 SON THOUGH HE WAS, HE LEARNED OBEDIENCE FROM WHAT HE SUFFERED; AND WHEN HE WAS MADE PERFECT, HE BECAME THE SOURCE OF ETERNAL SALVATION FOR ALL WHO OBEY HIM. How and to whom do we pray? If Jesus prayed to His Father, should we also be praying like Him? St. Valerian, pray for us. When I shall breathe my last. To be the best that I can be. To be patient, to be true. Let not my loved ones grieve for long. They brought into my life. Hoping that they will always pray for each other. Whatever good I offered to our world. As we prepare for our reunion in eternity. You alone are my salvation. “In praying, DO NOT BABBLE LIKE THE PAGANS, WHO THINK THAT THEY WILL BE HEARD BECAUSE OF THEIR MANY WORDS. Do not be like them. 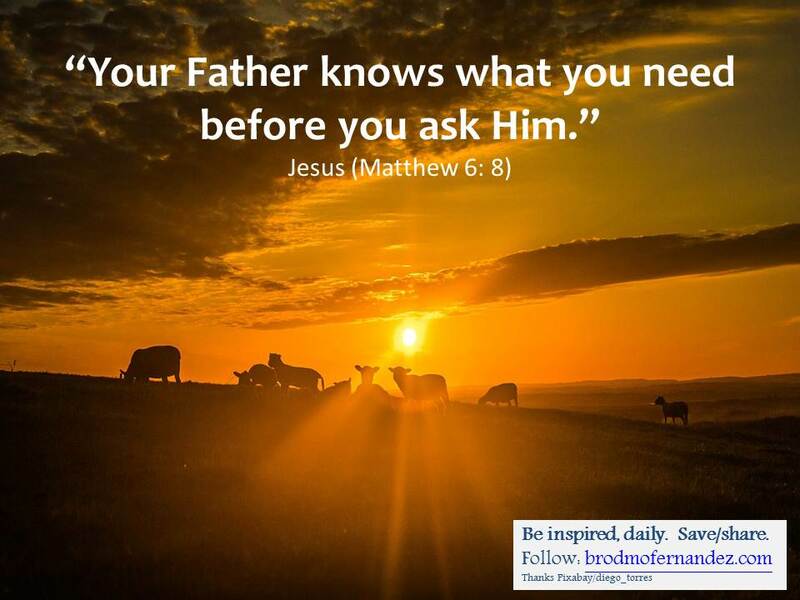 YOUR FATHER KNOWS WHAT YOU NEED BEFORE YOU ASK HIM. *Do we love long prayers or short prayers? *Do we still pray this very simple but profound prayer Jesus taught us? *Have we really forgiven those who tresspassed against us? St. Gregory Barbarigo, pray for us. “I PRAY NOT ONLY FOR THESE, BUT ALSO FOR THOSE WHO WILL BELIEVE IN ME THROUGH THEIR WORD, SO THAT THEY MAY ALL BE ONE, AS YOU, FATHER, ARE IN ME AND I IN YOU, THAT THEY ALSO MAY BE IN US, THAT THE WORLD MAY BELIEVE THAT YOU SENT ME. And I have given them the glory you gave me, so that they may be one, AS WE ARE ONE, I in them and you in me, that they may be brought to perfection as one, that the world may know that you sent me, and that you loved them even as you loved me. *Are we aware that Jesus prayed for us even before we were born? *Are we aware that He made wishes too and that His wish is for us to be with Him and experience God’s glory? 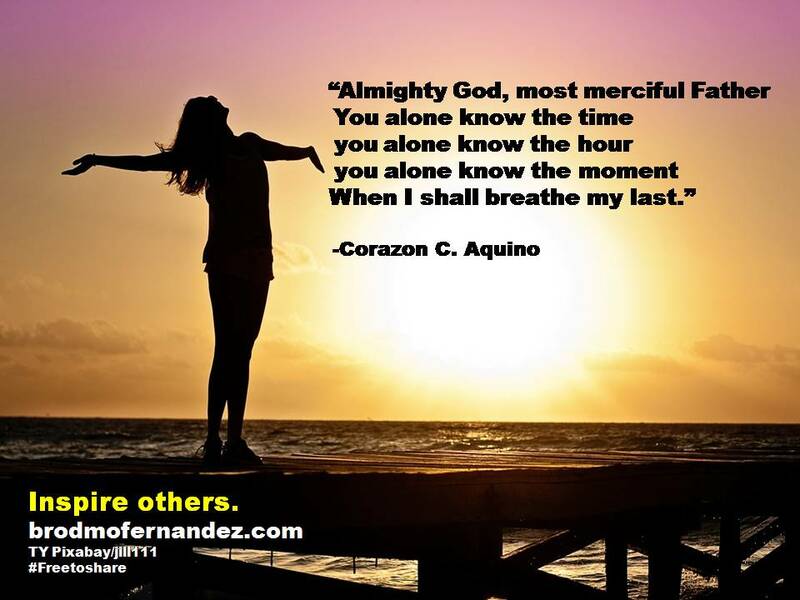 *Are willing to be one with Him to make God known in all corners of the world? St. Eugene De Mazenod, pray for us. 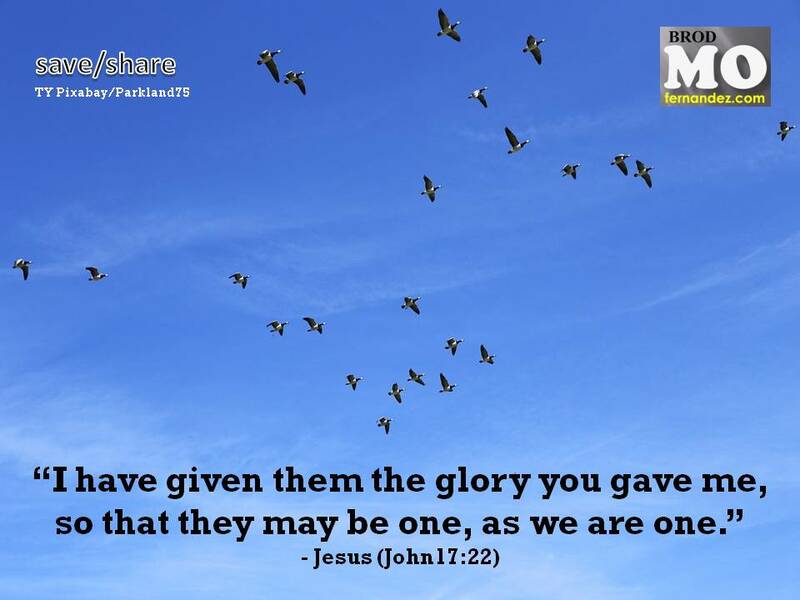 “Holy Father, keep them in your name that you have given me, so that they may be one just as we are one. When I was with them I protected them in your name that you gave me, and guarded them, and none of them was lost except the son of destruction, in order that the scripture might be fulfilled. *Jesus constantly prayed to the Father, how about us? *Jesus constantly prayed for us, do we pray ourselves? 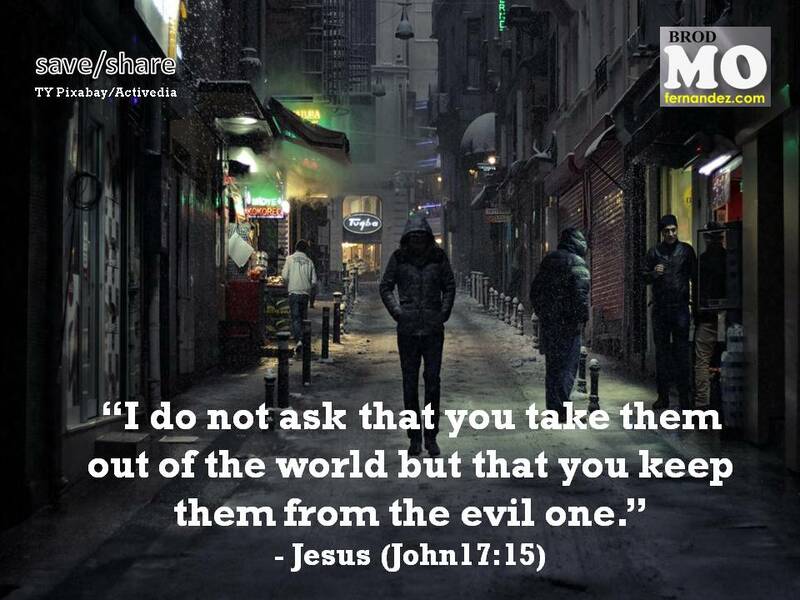 *Jesus prayed that we be kept from the evil one, how do we respond? St. Bernardine of Siena, pray for us.